A quite remarkable recovery, DPR Korea upset the order of merit in the first stage of the Women’s Team event at the 2018 Asian Games in Jakarta, Indonesia on the opening day of play, Sunday 26th August. The no.7 seeds, they recovered from a two matches to nil deficit against Japan, the no.2 seeds and silver medallists four years ago in Incheon, to secure a quite dramatic three-two victory. Miyu Kato gave Japan the ideal start by beating Cha Hyo Sim (7-11, 11-2, 13-11, 14-12), Minami Ando followed suit; she overcame Kim Song I (4-11, 11-6, 11-9, 11-7) to seemingly pave the way for victory; Kim Song I being the leading member of the DPR Korean team. It was at that stage the tide turned; Kim Nam Hae overcame a determined Miyu Maeda (11-8, 11-8, 14-16, 8-11, 11-5), before Kim Song I levelled matters by accounting for Miyu Kato (11-8, 11-4, 11-4, 6-11, 11-9). The outcome in the balance, Chao Hyo Sim prevailed against Minami Ando to complete the recovery (11-4, 12-10, 7-11, 12-10). Defeat for Japan but not terminal; it was their only defeat. Second position was their lot with DPR Korea unbeaten in first place. Teams finishing in first and second positions in each of the four groups advance to the main draw. First place for DPR Korea, in the two remaining groups, where the fixtures have been completed, China and Korea Republic finished in first places with India and Chinese Taipei in respective second positions. China who selected from Chen Meng, Chen Xingtong, Sun Yingsha, Wang Manyu and Zhu Yuling were never in danger; under the guidance of Li Sun, they recorded three-nil wins in each contest, making their intentions very clear. Similarly, for the Korea Republic squad comprising Choi Hyojoo, Jeon Jihee and Kim Jiho alongside Suh Hyowon and Yang Haeun; the only blemish on a trouble free day was the defeat experienced by Suh Hyowon against Cheng I-Ching (11-3, 7-11, 11-8, 15-13) in the three-one success against Chinese Taipei. First stage completed, it is only in the group involving Hong Kong, Malaysia, Nepal, Singapore and Vietnam where fixtures remain. 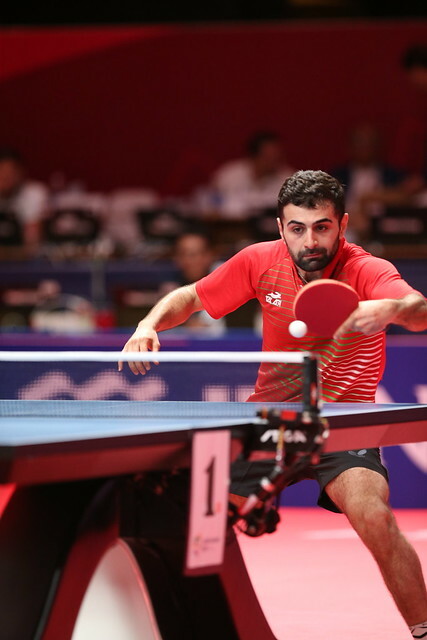 However, Hong Kong is set for top spot; they ended the day unbeaten notably recording a three-one win against Singapore, a contest Feng Tianwei may wish to forget. She was beaten by both Lee Ho Ching (14-12, 9-11, 11-7, 6-11, 11-8) and by Doo Hoi Kem (6-11, 11-9, 14-12, 11-7); the one win for Singapore was recorded in the third match of the fixture when Yu Mengyu beat Minnie Soo Wai Yam (11-8, 11-3, 7-11, 11-4). The group stage concludes on Monday 27th August, the day on which the quarter-finals will be played.